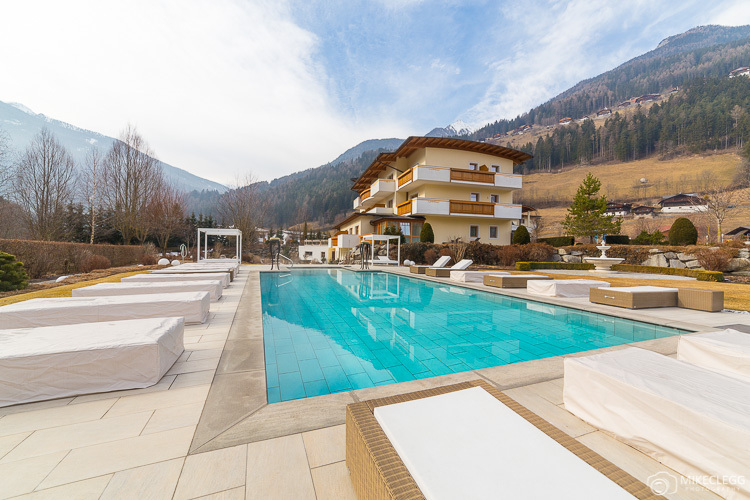 Located deep in the South Tyrol region of north Italy, Alpen Palace Resort and Spa makes for a fantastic winter getaway. All around are snow-capped mountains, trees and forestry and you’ll feel free from the pressures of cities and everyday life. 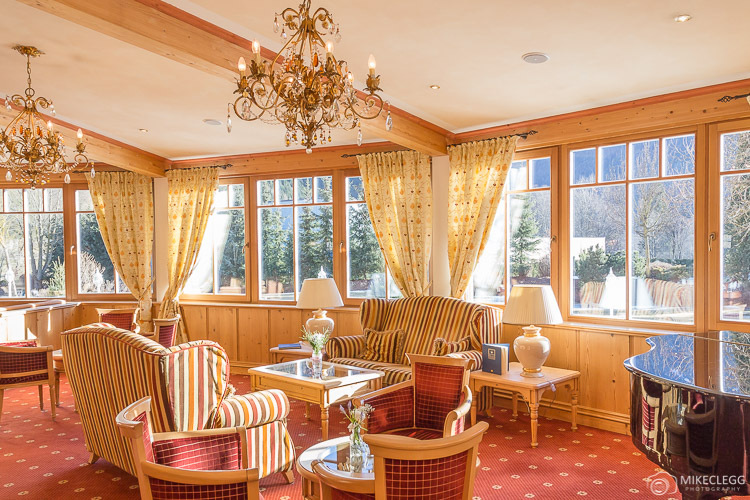 Alpen Palace is a 5-star luxury hotel and comes complete with everything you need for your winter getaway and is conveniently located in the South Tyrolean Alps between two great ski areas Klausberg and Speikboden. 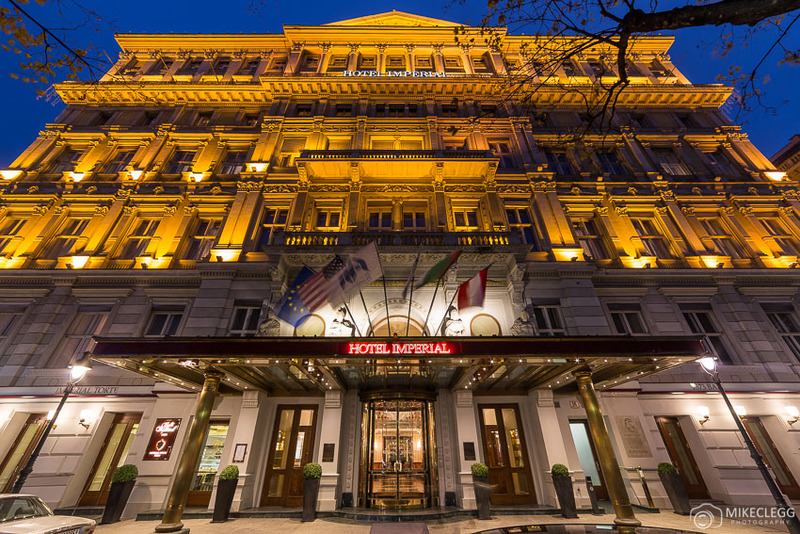 The hotel looks beautiful both inside and out and is well maintained. The interior has a warm, cosy, light-coloured wood style and the public areas such as the hallways and lobby have a wonderful scent of cinnamon and wood. 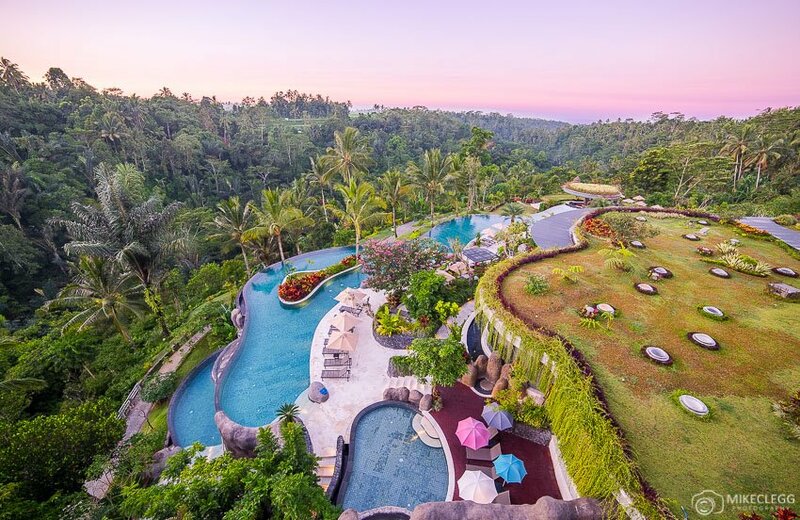 The hotel has 55 rooms with various types such as singles, doubles, suites and luxury suites. Prices in the Winter season start from €258 per person for a double room. You can book per night or package deals and if you book for one week you get a 10% discount. On arriving to Alpen Palace you get a welcome drink which changes throughout the year. For us it was a hot apple and cinnamon juice, whilst in the summer it’s elderflower and around Christmas it’s Mulled Wine. The drink was very delicious and we relaxed in the lounge to enjoy it while our luggage was taken up to our room and the front desk registered us on their system. During our stay the service felt very personalised with our name on our dinner table, in a morning post (mentioned below), and on a welcome note in the room. I also found it very impressive that most staff seemed able to speak multiple languages. During our visit, we (me and my other half) stayed in a Suite Alpenpalace. The room consisted of a large bedroom with plenty of storage and hanging space, an adjoining lounge with huge flatscreen TV and lots of channels, plus comfy seating, and outside was a private balcony. One thing I really liked was the music on the default Alpen Palace channel which I found quite empowering and relaxing at the same time. 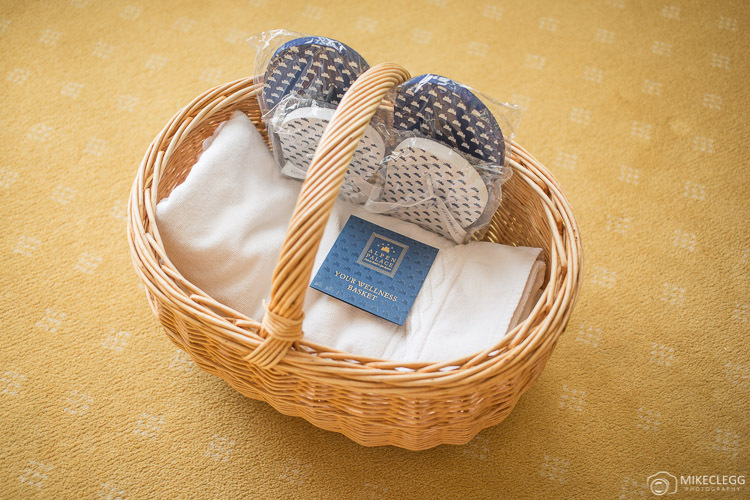 On checking in you receive a wellness basket which has towels and flip-flops. You’ll also find robes on your bed. This is for when you head down to the spa areas. 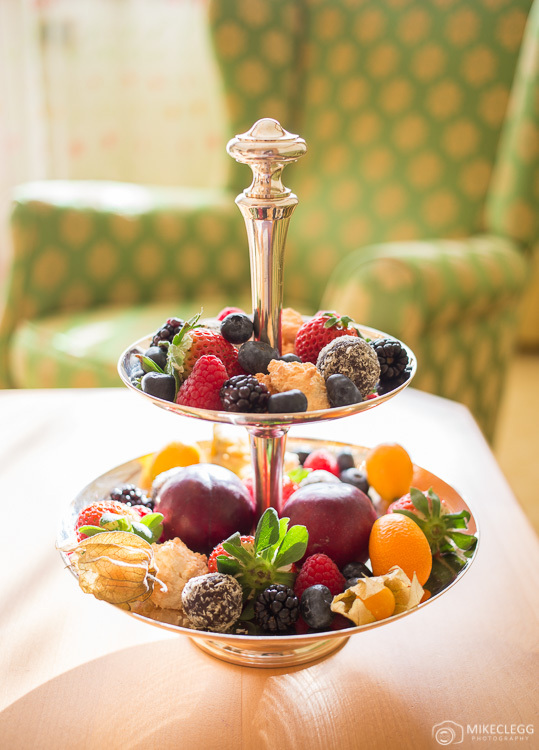 On arriving into the room we also received a beautiful and tasty selection of fruit and treats. You also get the champagne from the mini bar included. 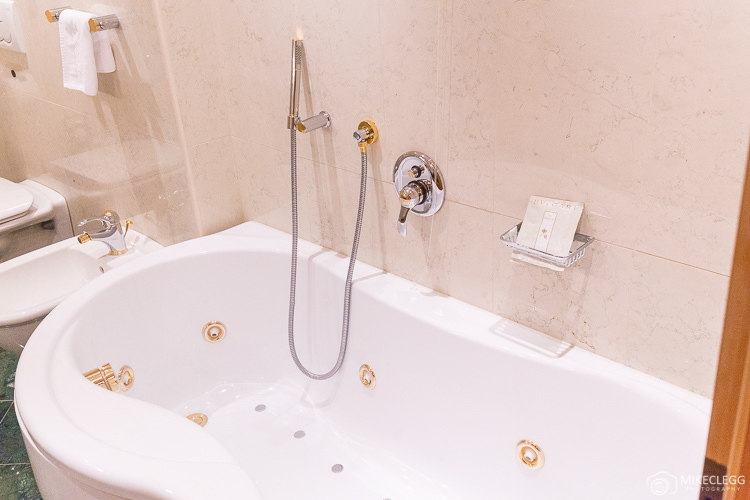 The bathroom was superb and included a large two person bath with hot tub functions, a spacious stand-up shower with a rain showerhead, bidet, Bulgari toiletries and a special bath tea bag. There was plenty of towels and you also get robes and slippers. Two other cool features of the bathroom was the heated floors and that you could have the sound from the television also playing in the room (such as a music channel, news or whatever you want). With the half board option, you get breakfast and dinner and you’ll get an allocated table for both these meals. 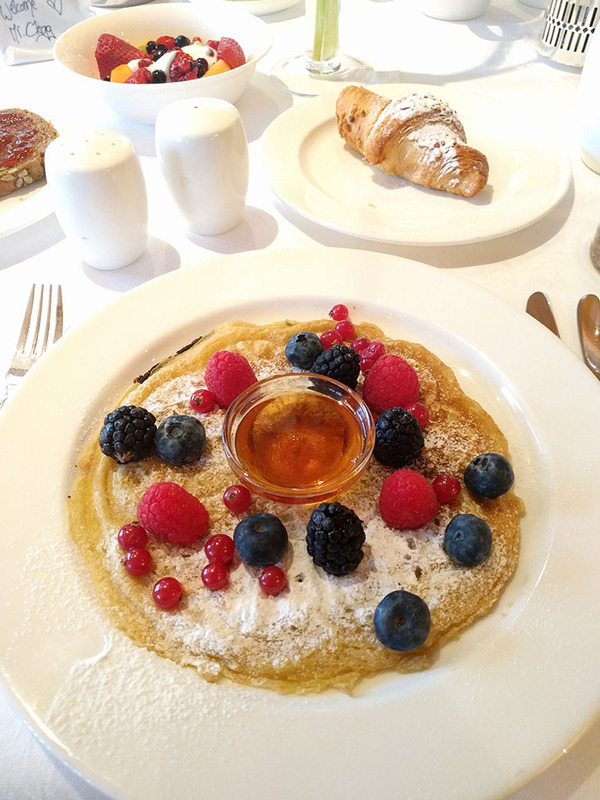 Breakfast – The breakfast has everything you would want and more, including a huge buffet with a variety of cereal options, fresh fruit, yoghurts, jam selection, different breads, pastries and juices (you can even make your own fresh juice using a public juicer). As well as the buffet, you can order à la carte with lots of egg options, waffles, omelettes, Bavarian sausages and other options. When you arrive at your table for breakfast you’ll find your ‘Morning Post’ which provides details about the weather, wellness tips, and things you could book for the following day such as snowshoe hikes, etc. 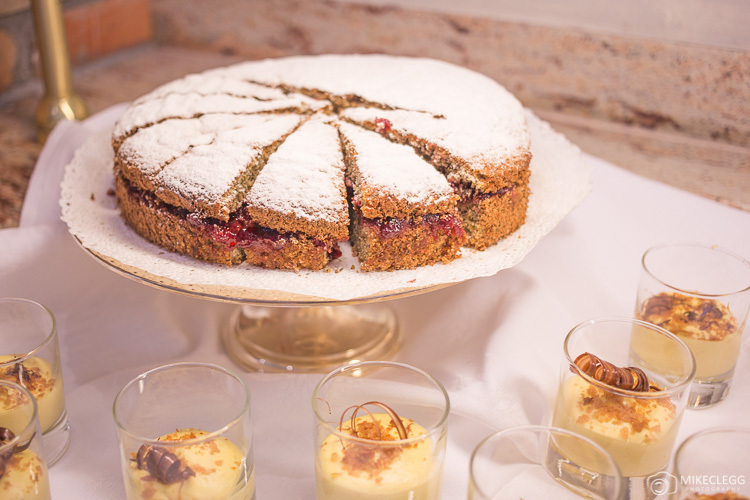 Afternoon Cake and Tea – In the afternoon between 3pm-5pm there is a small buffet consisting of cakes, fresh fruit and teas. After what was for me an energetic day of snowboarding, this was perfect for when I arrived back and needed some energy and refreshments. Dinner – For dinner, you can start with an extensive buffet which has so many appetising options you’ll struggle not to pick too much. Followed by this buffet you will then be able to choose several courses for your main including starters, mains and deserts. Including the buffet and cheese to finish, you get between 5-7 courses. The menu is quite creative with interesting presentation. 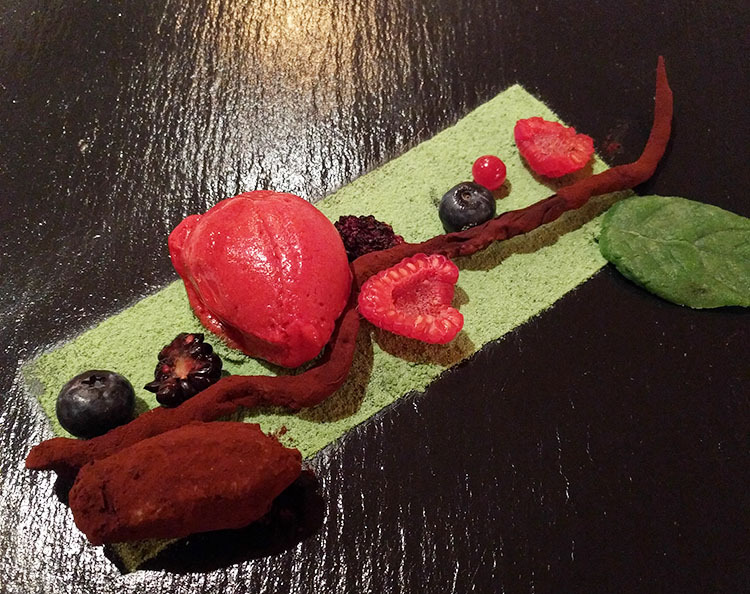 One of my courses was called “Walk in the Forest” which was a chocolate type dessert with leaves and other elements made out of marzipan and various ingredients. I would highly rate the dinner and always looked forward to it. On the menu are suggested wines and if you don’t finish your bottle, the waiters and waitresses will store the bottle ready for your meal the next day. This was a nice touch. Other meals and drinks – If you wanted to have a snack, dinner or drinks you can order from the lounge/bar menu. During our stay, we had a Club Sandwich, Tomato Spaghetti and an Anchovy and Caeser Salad which were all delicious. 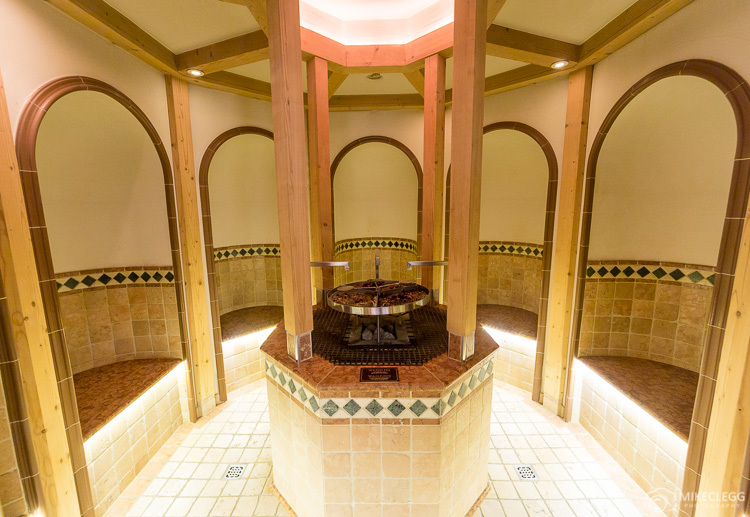 In the hotel are a large variety of spa facilities including a heated outdoor pool and jacuzzi, heated indoor pool, heated salt pool (we called it the salt cave), various steam rooms and saunas. There is also a small children’s pool with slide. It’s worth noting that the outdoor pool and hot tub is open all year round which is something we were curious about before we arrived in the winter. One of my favourite elements of the spa was relaxing in the salt pool and outdoor jacuzzi. It was the perfect way to rejuvenate after a great day of snowboarding. 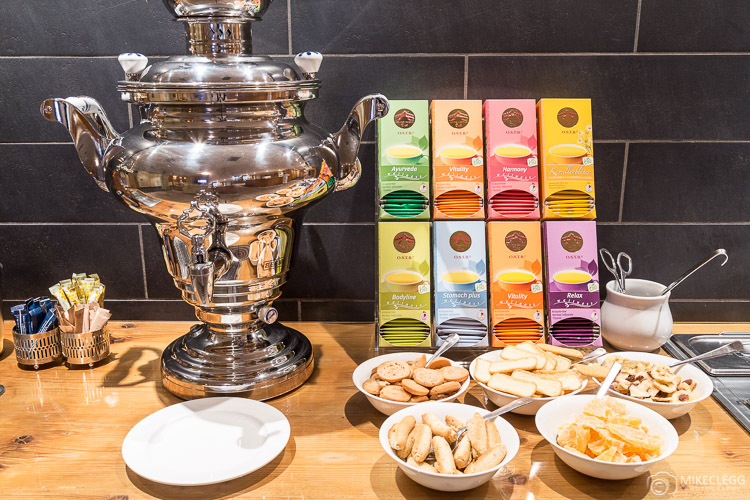 One thing we really liked about the spa area was the drinks bar where you could select lots of refreshing and healthy teas and some other treats. 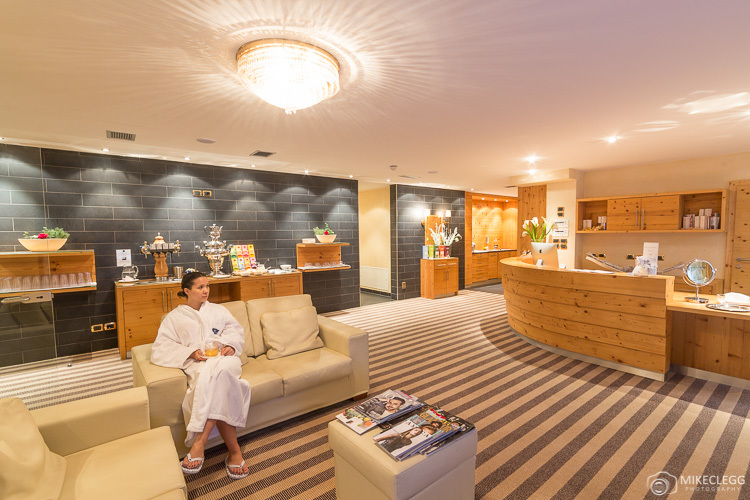 Alpen Palace offers a large range of treatments including facial and body treatments, special baths, a large variety of massages, treatments for two and more. 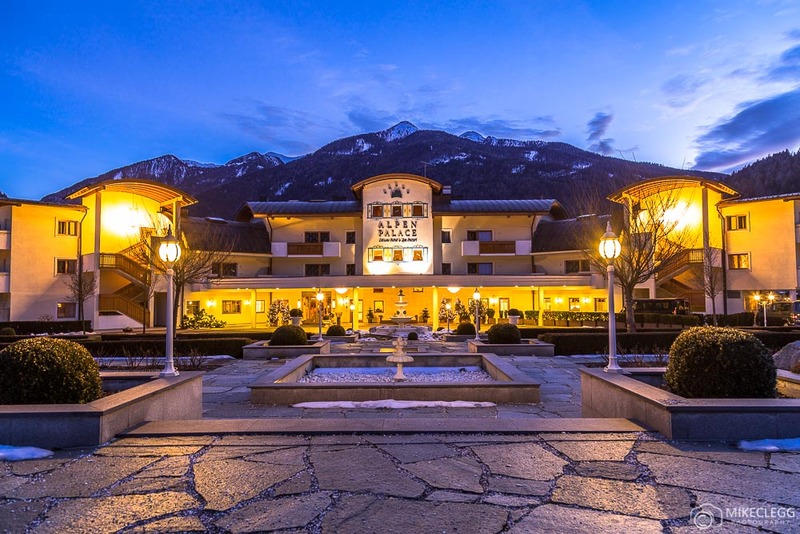 Transfers – Alpen Palace offers transfer services starting at €50 from Brixen, Bolzano or Bruneck. If you wanted a treat, you could inquire about a helicopter transfer as the hotel even has their own licensed helicopter pad. WiFi – This was included and was very fast throughout the hotel including the rooms, lounge and by the indoor pool area. 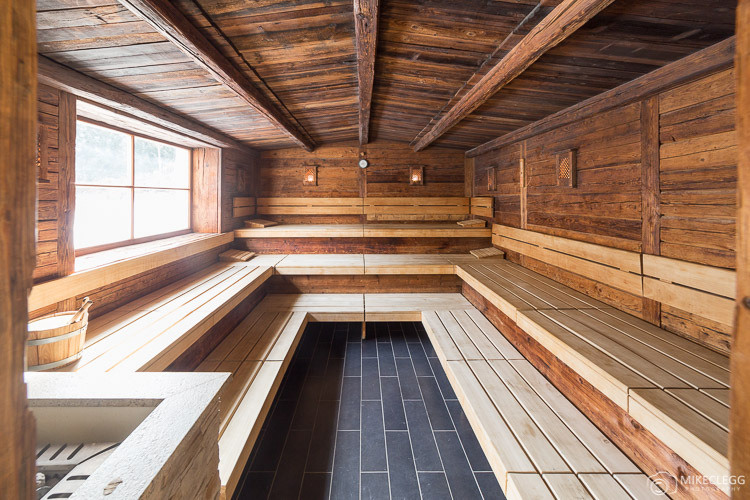 Alpen Palace is well located between two main ski areas, Klausberg and Speikboden. The hotel provides a free shuttle service there and back whenever you want, and it only takes 5-10 minutes in the car to get to either. You can hire equipment at the start of both resorts and for me it cost €16 for a snowboard for one day. On my first day, I visited Klausberg, which has 32 kilometres of runs and 8 lifts rising up to 2510 meters. I felt Klausberg would be a great place for kids as it has a special roller coaster type ride and Dinosaur Park. 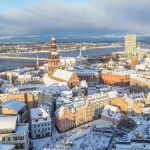 On my second day, I headed over to Speikboden – the weather on this day was much better and that also improved my experience. This resort has 38 km of runs with 7 lifts rising up to 2400m. These include 21km of blue (beginner), 6km of red (intermediate) and 11km of black (advanced) runs. To get to the ski slopes you start off by the main road and take a gondola up the mountain for 10-20 minutes. Once you get to the top of this main gondola everything opens up and you see runs in all directions. Viewpoint – At the highest point you get to a viewpoint which gives you panoramic views and it’s quite the sight. 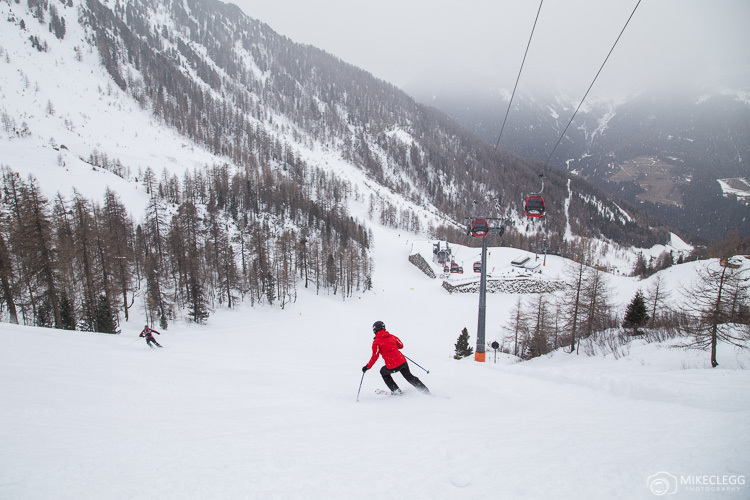 It’s a little fiddly to get here, so from the first lift you then ski down to the gondola that you cross over initially (in the first lift). From the top of this gondola take the chair list on the left. That will then take you to the highest point. Favourite runs – One of my favourite runs was actually the run leading down to the very bottom. It’s basically a very long zig-zag type run through trees. To read more about these ski areas and to see the prices head to www.kronplatz.com/en. When you stay at Alpen Palace you get the Holiday Pass Premium which provides free public transport use and discounts on lots of activities. Make sure you remember to use it when booking activities though as it’s easy to forget (like we did). Night Tobogganing – From the top of the first Gondola at Klausberg is night tobogganing on a Tuesday evening. It’s great fun and takes quite a long time to get from the top to the bottom. You can also have two people on the Toboggan. 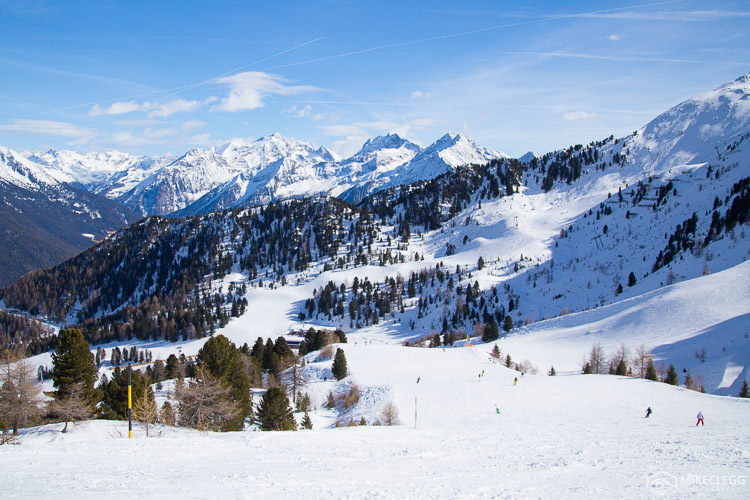 Snow Shoe Hikes – Snowshoe hikes are quite common throughout the week although make sure you book well in advance as it gets booked up quite quickly. Also available are such things are lanterns walks at night, ice curling and target shooting. 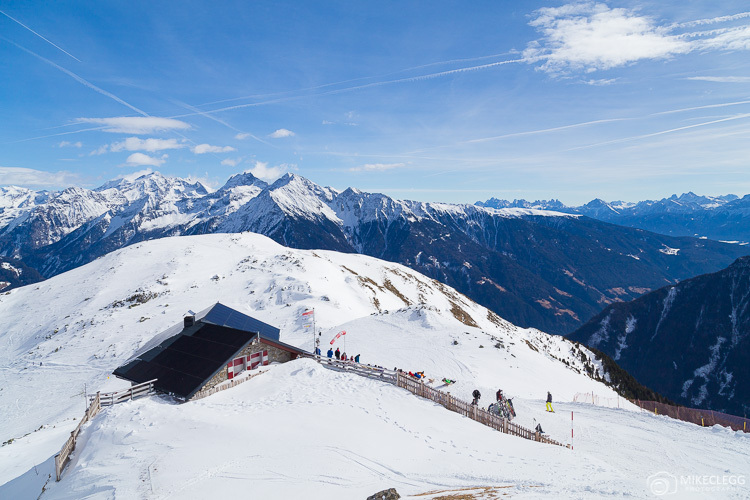 For all the activities and more information head to www.tauferer.ahrntal.com/holidaypass. 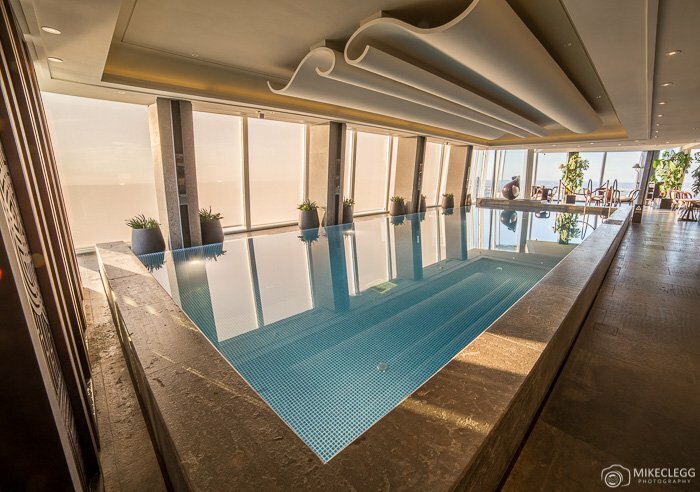 For me and Kim, Alpen Palace Resort and Spa was a wonderful Winter Getaway. The hotel and spa facilities were superb and had everything you’d need to feel refreshed and pampered. I felt the ski areas were better for intermediate skiers snowboarders than beginners, although Speikboden seemed to have more beginner run options. 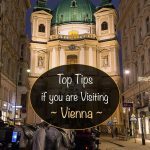 I also feel that 2 days skiing/snowboarding at each area would be plenty during a one week trip or a couple of hours a day. 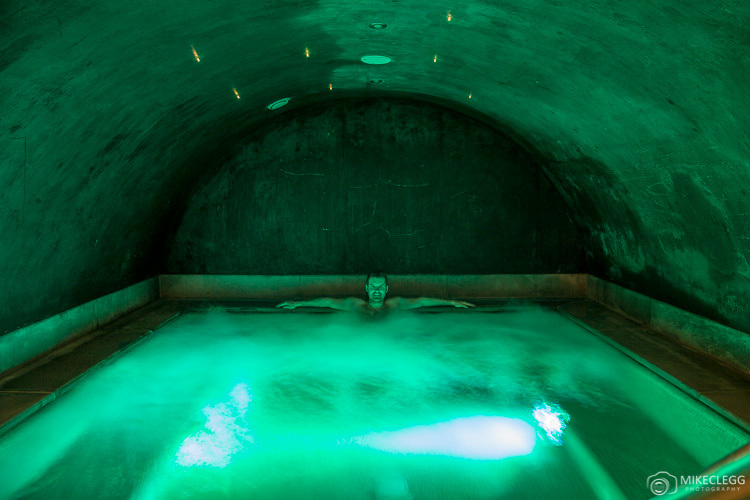 This combined with other activities and relaxing at the spa would make for a great Winter Getaway. Disclosure: I was hosted as a guest to Alpen Palace to experience what it was like in the winter. All comments, words and opinions truly reflect my personal opinion.